Excellent turn-key investment opportunity at the popular Aqua at the Park building. Located in Vancouver's Beach Cres Area, just steps from George Wainborn Park. 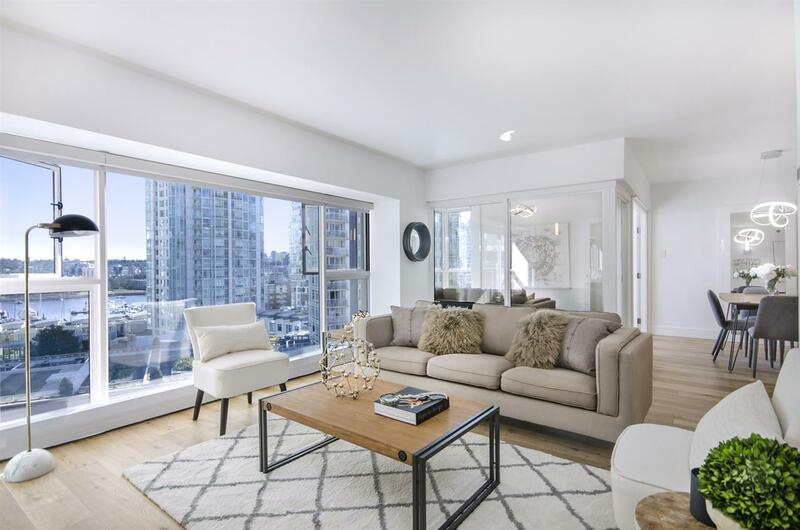 THIS BRIGHT CORNER UNIT HAS BEAUTIFUL VIEWS OF GEORGE WAINBORN PARK, ENGLISHBAY, FALSE CREEK AND CITY VIEWS. Suite has hardwood floors, tastefully decorated with designer light fixtures, wall paper, paint, stainless steel appliances inc. gas stove. Well managed building with awesome amenities including fitness, squash court, pool, steam, sauna, meeting rooms, concierge/security, guest suite & so much more! Please provide 24 hours notice.